Is your iPhone not turning on? and you have tried hard to turn it on but you failed to turn it on. There are many reasons why your iPhone is not turning on. This article will help you to determine which is the real reason because of which your iPhone is not turning on. As iPhone is one of the best phones in the world but as it is said that no one is perfect in this world and err is human so it is obvious that there will be some fault in this also. There are many software problem which is take place in iPhone. I have mentioned many iPhone problem real fix. So you can read that if you need. iPhone is not turning on is also one of the main problem which takes place in iPhone. In this article, I have mentioned some best tricks for every model of iPhone as iPhone 4, iPhone 5, iPhone 6, iPhone 6s, iPhone 7, iPhone 7 plus, iPhone 8, iPhone X etc. If your iPhone is not turning on it means your iPhone has either software problem or hardware at the situation of your iPhone. If it is a hardware problem, you have to go to Apple care and tell him about the problem but if it is a software problem, you can fix it by reading the whole article. Read Also: iPhone is disabled. How to fix it. Why Won’t My iPhone or iPad Turn On? Your iPhone or iPad is not turning on because of either some hardware problem or there are some software problem. As you know that you cannot fix iPhone hardware problem at home but if iPhone is in guarantee period, just go to Apple care. If you iPhone is not turning on because of some software crushed, you can fix it at home by following the given method below. 1.Determine whether your iPhone is not turning on due to a Software problem or Hardware problem. First of all, we have to determined whether your iPhone has a software problem or Hardware problem. So let’s try out some best tips to iPhone to turn it on. If it will not work, we will discuss about hardware problem. It is a very common problem when any iPhone won’t turn on. I have seen many times that a hard reset could do all things and also could turn on the iPhone so let’s try to turn on the iPhone by hard reset. To hard reset, you have to follow the following method. Read Also: iPhone flash light not turning on How to fix it. Press and hold the wake up button and home button of your iPhone at the same time for 20 or more than 20 second until the Apple logo appear on the screen. Press and hold the wake up button and volume up button of your iPhone at the same time for 20 or more than 20 second until the apple logo appear on the screen. If a hard reset turn on the iPhone, it means your iPhone did not turn off. You think that it is turned off because some software crushed so iPhone’s screen was not working. Some people think that iPhone is not turn on while it is turn on already but it is software crush which don’t let the screen work and displaying any thing on the screen. You can fix it by resetting your iPhone. You can reset your iPhone by connecting iTune. So connect your iPhone to iTune and reset the iPhone but before resetting iPhone you have back up your iPhone but as nothing is displaying so you can’t. If you have set it before, don’t worry after resetting the iPhone, you can back it up. 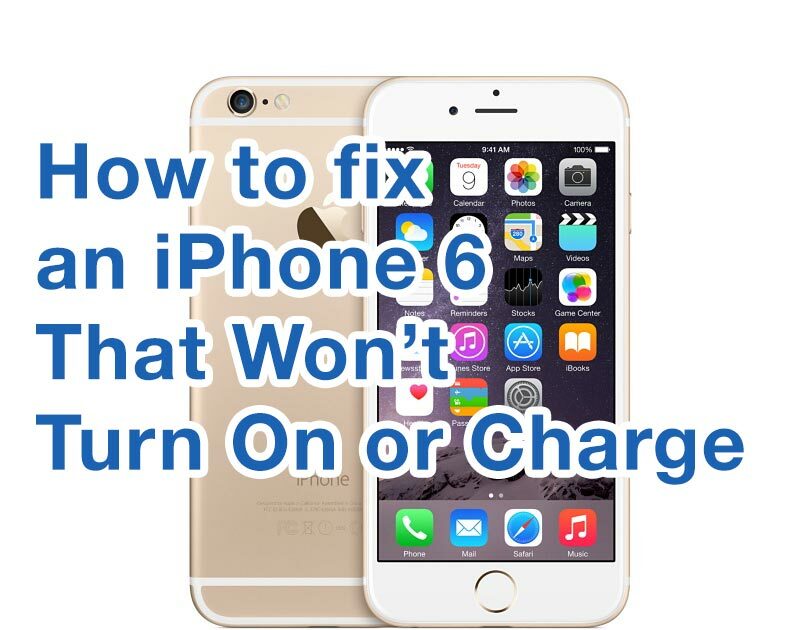 If your iPhone won’t turn on, may be your iPhone is not charge and your iPhone lightening cable and charger is also not able to charge it because it is damaged so you have to check out if it is damaged or not. If it is damaged replace it by new one. To check just connect your iPhone with any other iPhone charger and leave for some times. If iPhone is not turning because of charging issues, it will open when it get charged. If your iPhone is still not charging, just read the given link. If your iPhone is still not turning on, you have to make sure that it is not just the display which is not working because sometimes our iPhone’s display is not working so we can not decide if iPhone is turning on or not. To make sure that your iPhone is turning on or not, just follow the following steps. 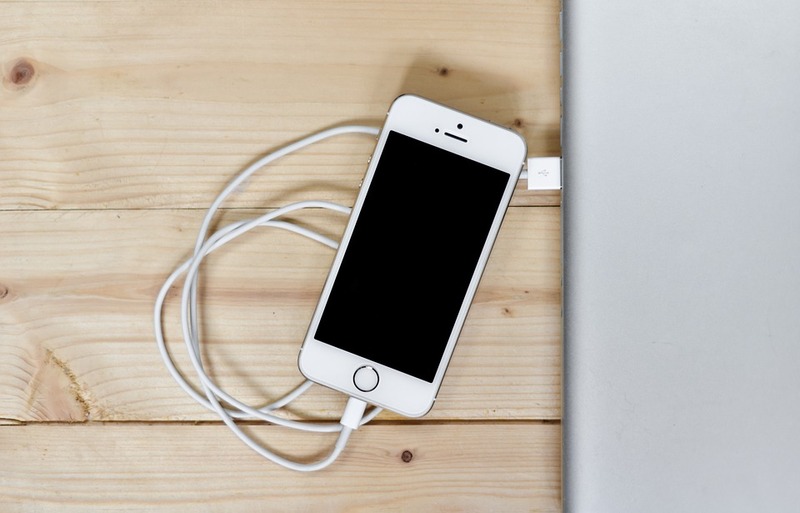 Plug your iPhone to your computer. Now launch iTune in it. Does it recognize your iPhone or not. If it is recognizing and there is a back up option, just back up your iPhone because if there is a hardware problem, may be it is a last chance to back up your iPhone. If your iPhone is showing up in the iTune or your iPhone is making a noise while connecting to iTune, it means you have to repair iPhone’s display. Now if your iPhone is not showing up in iTune, apply hard reset in it while it is connected to computer. Do you see any error message on the screen of your computer? If iTune is saying that you need to restore your iPhone, do it. If you have tried hard reset and the other method which is given above, you can not recover your iPhone data unless it is already saved in iTune or iCloud. If you did not back up your data in iTune or iCloud, you can use many expensive recovery companies which are available on the Google. If you have dropped your iPhone in water or in any liquid, it got damaged that’s why your iPhone is not turning on. iPhones are too much hard but it has limit. If your iPhone was dropped badly and after that iPhone won’t turn on, it means there are some hardware problem has been taken place in your iPhone. If your iPhone got water damaged recently and not turning on, it is means water went into iPhone and short the logic board. Even if an iPhone is under guarantee period, it doesn’t cover a water or liquid damage. So if it got water damaged, you have to pay for it to get repair the damaged iPhone unless you have Apple care+. If you don’t have apple care+, Apple may be very expensive. So you can find any third party for repairing. If iPhone is now turning on and you have fixed the iPhone won’t turning on problem, please comment the fixing method in the comment box. You can also mentioned about any other software problem or hardware problem in the comment box. Thank you. This entry was posted in Uncategorized and tagged How do I turn on the dead phone, How do you force your iPhone to turn on, How to fix iPhone 4 won't turn on, How to fix iPhone 5 won't turn on, How to fix iPhone 6 won't turn on, How to fix iPhone 7 won't turn, How to fix iPhone 8 won't turn on, How to fix my iPhone X won't turn on, iPhone 5 won't turn on, iPhone 6 died and won't turn, iPhone 6 won't turn on, iPhone died and won't turn while charging, iPhone not turning on or charging, iPhone won't turn on past the apple logo, iPhone won't turn on stuck on apple logo, My iPhone 7 plus won't turn on, My iPhone 7 won't turn on, my iPhone 8 won't turn on, My iPhone X won't turn on, What do you do when iPhone won't turn on, why my iPhone is not turning on while charging on November 24, 2017 by Shubham Pandey.